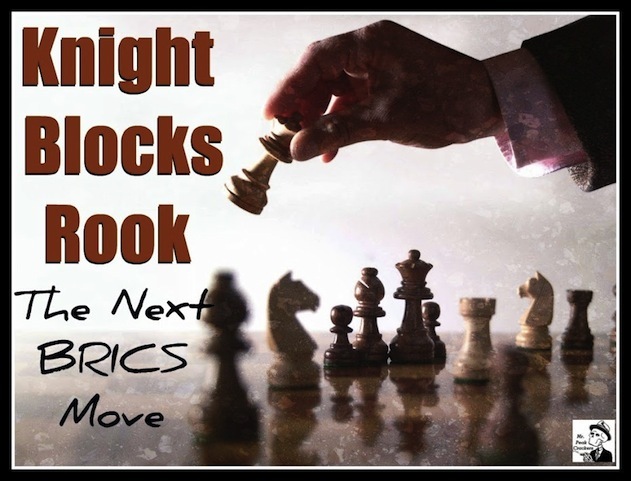 Home 2016 Will the BRICS Alliance checkmate the Anglo-American Axis in 2015? 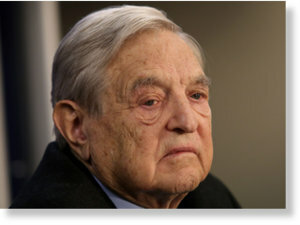 Ex-Judenrat and Nazi collaborator, Georges Soros. He busies himself with the destruction of currencies and people. His financial worth is $23 billion. His moral worth is somewhat lower. Credit Defaut Swap (CDS), mortgage backed security (MDS), bottom-up investment, high frequency trading, naked short sale… these are the kind of complicated terminology you encounter when you start exploring the financial jungle. But don’t be mislead. This overuse of jargon is designed to confuse and destroy any motivation to explore further. Clearly ‘they’ don’t want you to understand because they are hiding some rather dirty secrets wrapped up in apparently complicated jargon. Scratch beyond this seemingly complex veneer however, and the reality of finance is surprisingly simple… and disgusting. The objective of this article is to explain, in layman terms, finance principles and the slavery most individuals and states are subjected to. I will also show why things might soon change dramatically and offer some sound advice for such times of financial turmoil. 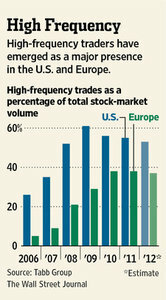 In world finance duality prevails. You are either a master or a slave. The masters are a small clique of excessively wealthy individuals devoid of conscience. They have various names: international cabal, banksters, elites, ultra-wealthy, 0.1%, oligarchs, global banking elite, etc. Their only goals are money, power and control. They will never have enough and they are ready to do anything to get more. Their geographic and ideological core is the anglo-American empire but they know no borders, have no country, no notion of nationalism or patriotism. For them nations are like hotels, there to be used, abused and when no longer useful, destroyed. They feel a deep contempt for people who they see as little more than slaves to be exploited, abused and deceived. Now that we know a bit more about the cast of this drama, let’s deal with money. Have a look at a 20 dollar bank note. What do you see? Well, it’s basically a piece of paper with images and text printed on it. Despite all the BS about currency as the reflection of the nation’s economy, the backing of reserve assets, this bank note you are looking at is nothing more than that: a piece of paper with ink on it. Think about it. For the banksters to print a 20 dollar bill, all they need is paper and ink. How much do you think it costs to print a 20 dollar bill, considering that millions are printed at a time? About 10 cents. But when this note is presented to you, it has magically become worth 20 dollars of very real work, goods or services. The same goes for 50, 100, 500 etc. bills. That’s the most important thing to understand:money is created out of nothing. But the lie is so big, so repellant to the mind that we have much difficulties accepting this fact. Of course it hasn’t always been this way. For most of modern history banknotes were backed against a tangible asset, usually gold. So you could go to a bank and exchange your note for real physical gold (see picture on the right). 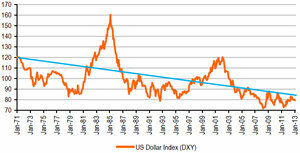 But since 1971 the dollar is not convertible into gold anymore. It is backed by nothing. So its only value is the one we ascribe to it. Collective belief is a prime factor in the kind of magical economics we’re talking about here. Market sentiment is a powerful factor for the best and for the worse. I will develop this point later. Money creation can be a good thing. In the past, nations could directly create money as a fair reflection of their economical states, interest free, in order to stimulate their development. But the time of sagacity in economics is long gone. Today, nations borrow insane amounts of money, with a positive interest rate. This money is created by a few private banks, also known as central banks and does not even reach the citizens pockets. Yes you read it right, this bank note you are holding was created by a member of the financial ‘elite’ out of thin air. But the sweat, the energy, the work you spent to earn it is very real. The fallacy used to justify the printing of money by private banks is that governments are unwise and if they were allowed to print money, they would create far too much and destabilize the market. That is a lie, the record for the most money ever created at one time occurred in the aftermath of 2008 crisis (see “quantitative easing“, another jargon term that simply means “print like crazy”) and it was private bankers, not governments, that created it. How much money is created? The short answer is: “We don’t exactly know but it sure is a lot”. The quantity of money is called “monetary mass”. Depending on the kind of money (coin, note, travelers check, credit card, saving, etc. ), monetary mass is divided in sub-groups labeled M1, M2, M3, etc. The problem is that the US Federal Reserve, (which is not American, federal or a reserve, but a private bank serving exclusively the interest of its owners) stopped publishing the figures relative to the total amount of money it creates. Only partial figures (M1 and M2) are disclosed and they show a dramatic unsustainable increase. But M3, the most extensive indicator, has not been released since 2006.Why not publishing M3 if its level was reasonable? Money can be given (in exchange of goods and services) but it can also be lent in expectation of a future repayment. For centuries, interests were deemed illegal and amoral but this time too is long gone. Today loans come with interest. When you borrow $100, you’ll end up repaying $120, $150 or $200. Interest rates are justified as a compensation for risk. Again that is total BS. When you borrow money the bank takes your house (for example) as collateral. So if you fail to repay the money they created out of nothing (without even borrowing fiat money from central banks), they will take your very tangible house. In this sense you are the one who is taking risks and you should be compensated for it, not them! The fallacy of positive interest rates was exposed further when central banks started proposing negative interest rates to other banks. This is a desperate attempt to inject money into the corrupt and therefore vulnerable banking system. Of course, negative interest rates are only proposed to the banks while we, the people, keep on paying positive interest rates. Notice that in the very principle of debt lies one of the most destructive aspects of modern finance: the rich have a lot of money so they’re able to lend. The poor have no money so they have to borrow. 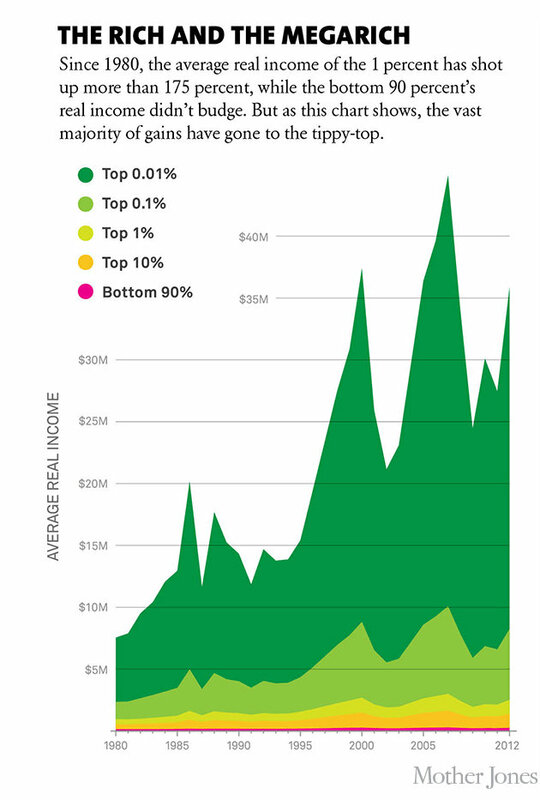 At the end of the loan, the rich cash in the capital they lent + interest (they’re richer), the poor pay for the capital + interests (they’re poorer). In this sense, debt is one of the the main causes of growing inequality. Today the world’s 225 richest (of whom 60 are Americans) have a combined wealth of over $1 trillion. That’s the annual income of the poorest 3.5 billion human beings. 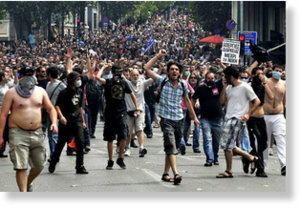 The looting of Greece brought millions into poverty and into the streets. The ones who create money are also the ones who set the interest rates. To preserve the illusion of fairness and separation of powers, they have created puppet organizations called “credit rating agencies” (Fitch, Standard & Poor, etc.) that “evaluate” the reliability of the borrower. If the reliability is low, the interest rate is high. Or so we are told. Credit rating agencies have been repeatedly found guilty of fraud. They unilaterally set interest rates in order to control the fate of a company or a nation. Take the example of Greece. Overnight the credit rating agencies dramatically raised its interest rates. But Greece couldn’t stop borrowing because it had to repay previous loans. 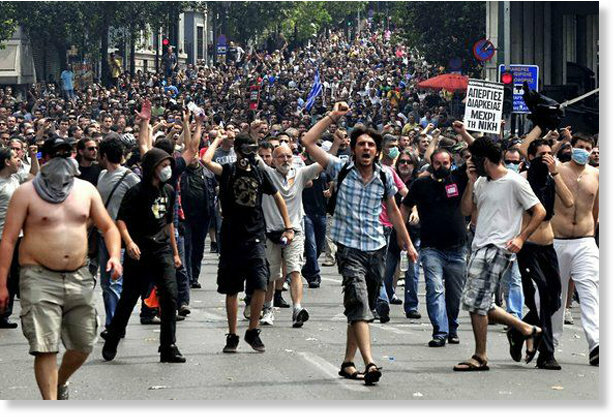 Suddenly the weight of the debt became unbearable pushing Greece to the edge of bankruptcy. At this point Greece had no more negotiating power and had to accept the looting of the country by the elite, who took control of public services, natural resources, etc. This kind of egregious banditry is euphemistically called an “IMF package“. In the Greek example, profitable activities were privatized (that is transferred from the public sphere to a few private oligarchs) for a ridiculously low price, or for free. But if a private activity is not profitable, the reverse occurs: the losses are socialized i.e. laid at the door of the people who have to pay for them with their tax money. That’s what happened, for example, with Fannie Mae and Freddie Mac, two private insurance companies who generated massive losses and were “bailed out” by the US treasury. In this case hundreds of billions of taxpayer’s money was used to cancel the losses generated by those private corporations. When prices of consumer goods (bread, milk, light bulbs…) increase and salaries stay the same, there is inflation. We are told that the reason why government should not print money to off set inflation is that they would overprint and people would use all this excess money to buy more goods, leading to some scarcity, which would increase the prices. After 2008, those markets started to frenetically bubble despite a very negative economic context. 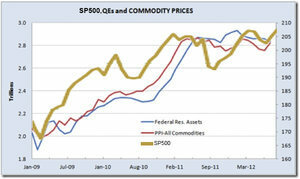 Stocks (SP500) have increased more than 200% since 2009 and commodities have gained 100% (see diagram on the right). That makes it pretty clear that the created money goes straight in the pocket of bankers who use it to speculate on those markets. In a nutshell, money works for the rich (capital gain) while, on the contrary, the poor work for money (wage). 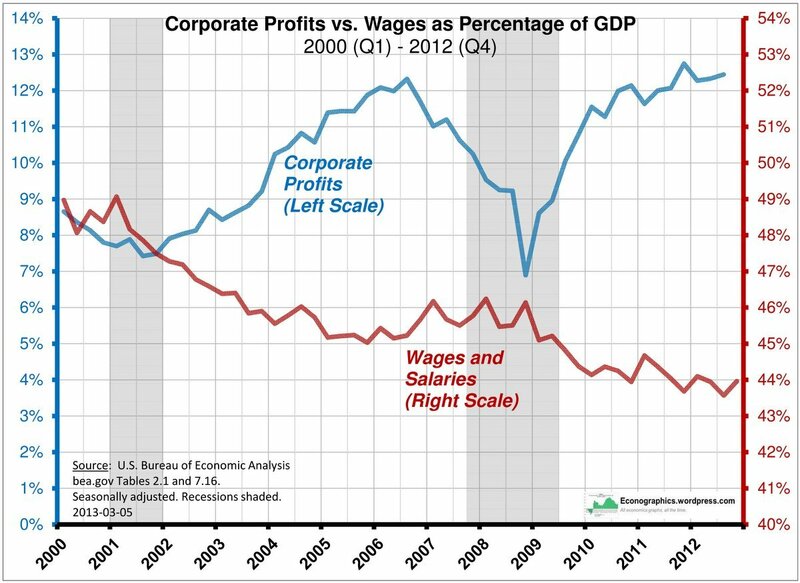 Over the past year, wages as a part of GDP have been shrinking while capital gain has been increasing. The diagram on the right shows those changes and illustrates the massive transfer of wealth from the people to the wealthy elites. 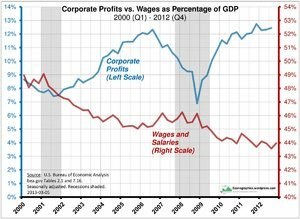 This means that corporations, the conjunction of capital and work, favor more and more their rich shareholders while financially squeezing their workers. Tax is money collected by the state from individuals and corporations in order to fund public services (hospitals, schools, roads…) which is one of the few mechanisms that allows for the redistribution of money from the richest to the poorest. If states managed to collect enough tax they would not need debt and would not fall into financial slavery. That’s why dominating economic doctrines praise tax reductions. But don’t be misled. Tax reductions don’t concern us. While labor revenue (money from the poor) is heavily taxed and keeps rising, capital revenue (money from the rich) is barely taxed. In many countries (Belgium, Netherlands, Greece, Portugal…) capital gain tax rate is even equal to zero. 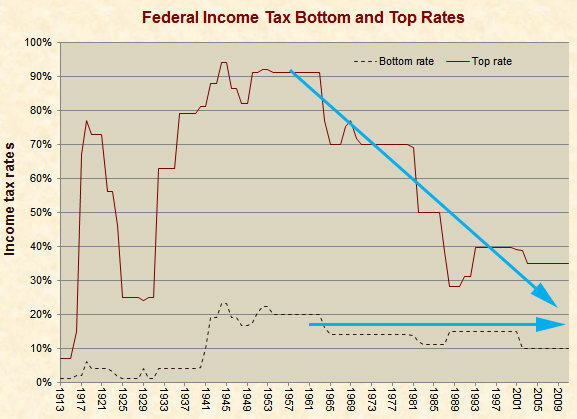 And if that wasn’t enough, tax rates on high revenues keep dropping while tax rates on small revenues remains relatively constant (see diagram on the right). If you want to stop contributing to such an unjust taxation system, you might want to open an account in one of the numerous tax havens scattered around the world. But when you’re informed of the amount of the minimum deposit and minimum balance, you’ll understand why tax exemption is only for the rich. For years the establishment has been pushing a cashless society. Of course this is an obvious step towards more totalitarianism where every single transaction is monitored. In a cashless society, a government can decide to quash dissidents by instantly cutting them off from the economy. Submit or starve will be the only two solutions. 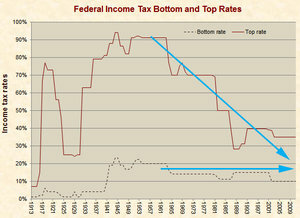 But this is also a way to ensure that the people won’t escape the unjust tax system. The rich already have bank accounts in tax havens, legions of lawyers and accountants (fiscal optimization), off shore companies and tax exemptions at home so they don’t need cash to escape taxes. On the other hand, the people try to avoid the suffocating tax load by using cash. While tons of dollars are created daily, one might wonder how this overabundant currency doesn’t lose its value because, usually, when supply exceeds demand for any kind of goods, the prices drop. Actually, over the past few decades, the dollar has been steadily dropping relative to other currencies (see illustration on the right). However this drop is limited because of a forced demand for the dollar. In 1944, the infamous Bretton Woods conference instituted the dollar as the world reserve currency, the only one tied to gold while all other currencies were tied to the dollar. As a consequence, the dollar became the currency used for international trade. For example, when China sells its manufactured product to a foreign country, it is paid in dollars. 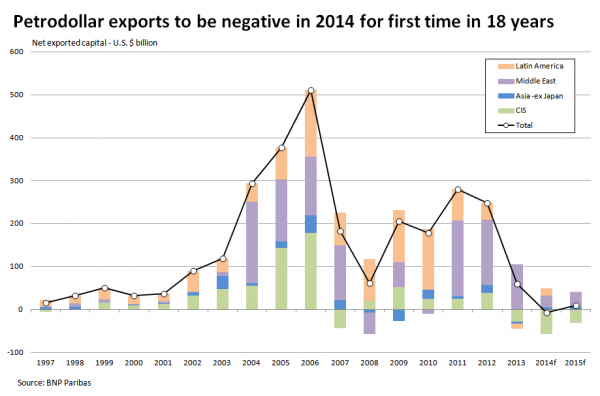 Since China exports a lot, it has billions of dollars in reserve. Through this forced purchase of dollars, China helps limit the drop in value of the dollar. In this sense, China and the whole world, through the erosion of their dollar reserves, fund the wealth of the elites who pocket the tons of newly created dollars. The forced use of dollars on the international scene doesn’t only apply to Chinese goods. Oil, the largest commodity market, is dealt in dollars exclusively. If you want to buy a barrel of oil you’ll have to exchange your currency for dollars (known as petrodollars) and give them to the oil supplier. During such a transaction you weaken your currency (by selling it) and you strengthen the dollar by increasing its demand. From the above one can only conclude that the situation looks pretty desperate. For decades we have been condemned to live with the hegemony of the dollar, fund the lavish lifestyle of the dollar creators through the erosion of our dollar reserves. We have been enslaved by debt and seen our countries looted and destroyed by soulless banksters. While our resources keep shrinking, the elite keep getting richer. It seems like an insoluble problem: they have an almost endless supply of money, they control the banks and through them manipulate the markets. They own the media, they pull the strings of politicians and therefore make the laws. The power accumulated by banksters so far could, in theory, have provided them with an endless reign. But their greed and wishful thinking pushed them to take more and more undue risks, exposing the whole banking system to some very real threats. Leverage defines the ratio between the money invested by a bank divided by the money owned by a bank. Common sense suggests that, if a bank owns one dollar, it should be allowed to invest one dollar (leverage = 1). Thus, if the bank loses its investment, it can pay for the loss with the money it owns. This couldn’t be further from the reality of banking. For any deposit of 1 dollar, banks are usually allowed to invest 10 dollars (this is called fractional reserve. Leverage = 10). In plain terms, it means that if a bank loses 10% or more of its investment, it is bankrupt. 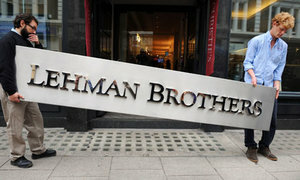 The bankruptcy of Lehman Brother was financial but also moral. But that is just the beginning, it gets worse. Lured by an unending greed, banksters started lending money to each other, creating fake deposits that would enable them to invest ten times the amount of these fake deposits an so on. In this case, leverage can reach 100 or more. But it was still not enough as was revealed after the bankruptcy of the Lehman Brothers bank that was found guilty of manipulating data by removing some of its investments from accounting books in order to make their leverage ratio look better (this case is known as the Repo 105 scam). Do we really think Lehman Brothers is the only bank cooking its books? Long story short, banks are investing way more money than they own. Thanks to those investments that reach into the $trillions, they totally control most markets and, of course, they make huge profits when the market goes in the direction they want. But they also take tremendous risks if the market goes in the other direction. The delirious leverage levels of the banking industry leads to tremendous risks but other factors add to the precariousness of this financial house of cards. During the 2008 subprime mortgage crisis, you probably heard about “derivatives”. Once again this is a deceiving term that carries the veneer of “innovative financial product offering high potential profit”. 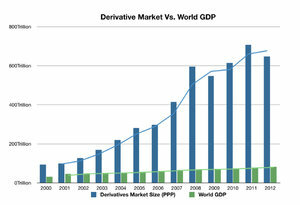 In reality, derivatives increase the already sky-high leverage levels previously described. They also mix together the potential profits and risks of various assets. 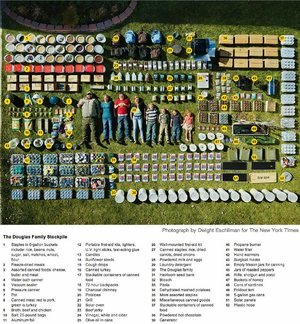 As a result, unknown toxic assets are hidden in seemingly harmless financial products. 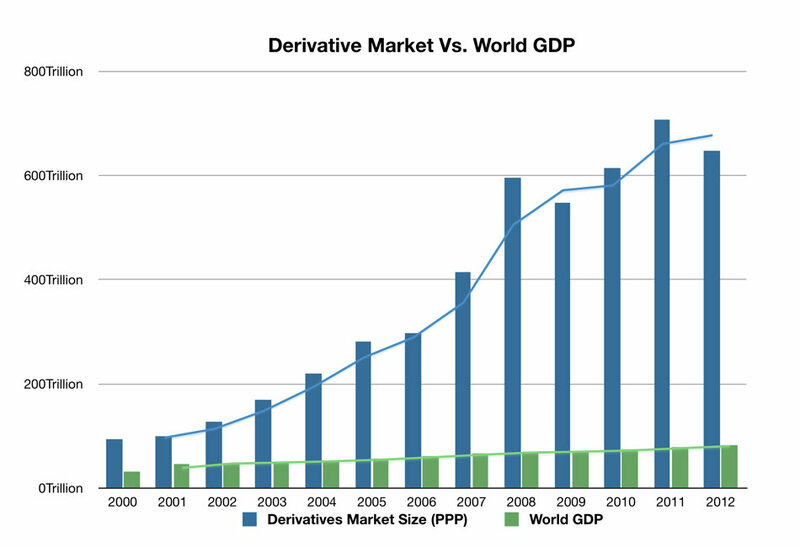 The derivative market is gigantic. In 2011 it amounted to approximately $700 trillion (10 times the GDP of the whole world). As a result, huge quantities of these toxic derivatives spread throughout the global economy: individuals, towns, counties, nations, companies and of course banks, hold massive amounts of derivatives without even knowing what assets, and therefore what risks, they are attached to. The mixing up of assets has also led to a strong interdependency between every asset. Because the amounts involved far exceed the solvency of nations or banks, if one asset doesn’t behave as expected, the whole financial house of cards could collapse. 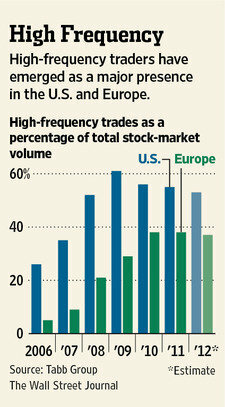 Another risk factor is high frequency trading. Today, a majority (50 to 70% in 2010) of trading is not operated by humans but by machines running algorithms. This is called ‘high frequency’ because such machines can place an order in 30 milliseconds. Because of this technology, it is not unusual to see thousands, if not millions, of orders passed within less than a second (far too quick for any human regulating intervention). Nobody knows exactly how those different algorithms interact with one another, but we know that they can generate some nasty domino effects. Those “glitches” are also called “flash crashes”. For example, in March 2011, cocoa dropped by 13% in a few seconds. In May 6, 2010 the Dow Jones lost 1000 points (9%) within a day. That’s the largest day loss in history. On March 16, 2011, the US dollar sank 5% against the Japanese yen within minutes. Notice that those dramatic drops didn’t follow any relevant news release. They were the results of algorithmic ‘decisions’. To hide the seriousness of the situation, Wall Street authorities “canceled” those abnormalities by freezing the quote and going back to the initial values. The inquiry about the Dow Jones 2010 “flash crash” portrayed a “market so fragmented and fragile that a single large trade could send stocks into a sudden spiral“. For centuries, gold was used in international trade and was considered as a safe financial haven. It was de facto the international currency, the safest investment of all. In the minds of many, gold is still a competitor to the dollar. So, in order to hide the weakness of the dollar relative to gold, and prevent a subsequent shift of capital from the dollar to gold, the price of gold has to be suppressed. Gold had to be made unattractive. This manipulation is conducted by 11 colluding banks (Barclays, Credit Suisse, Deutsche Bank, Goldman Sachs, HSBC, JPMorgan, Bank of America, Mitsui, Societe Generale, BNS and UBS), who control the LMBA, the largest (virtual) gold market by far. Their maneuvers are so blatant that they have been repeatedly found guilty of rigging the price of gold. 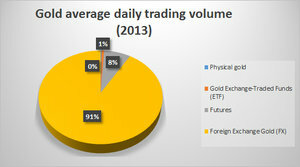 In trading there is no difference between physical gold and virtual gold. So, bankers are using massive quantities of virtual gold through operations called naked short sales: they sell gold before buying it! Because of their massive transaction capacities, they sell to drop the price without actually having anything to sell and then buy at this low price! How’s that for a screwed up system!? This way, the price of gold is artificially reduced and the banks make a substantial profit. Notice that during the whole operation no physical gold is ever touched or owned. Banksters resort to such risky tactics because the US has already sold all its physical gold to suppress its price. Today 99% of silver and gold transactions don’t involve physical metals (see diagram on the right). On the silver market, 130 days of global mining production would be required to cover open short positions (i.e. speculators who don’t own physical silver and push silver price down). Gold/silver artificial low prices have pushed many producers (mining) out of business and forced the surviving ones to minimize their investments (exploration, production tools…). Meanwhile the mining costs are rising sharply with a 150% increase between 2003 and 2009. As a result, supply grows slower than demand. 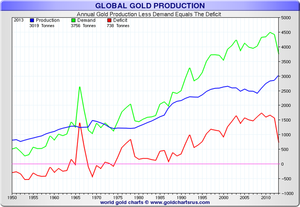 This situation applies to the physical gold market where the gap between demand and mining production has kept widening since 1970 (see diagram on the right). While overall demand for gold has doubled since 1990, the type of gold product that reports the highest demand increase is coins and bullion with a 150% surge between 2008 and 2013. 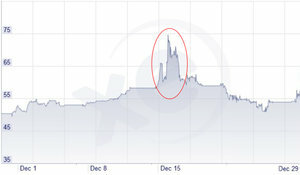 The situation on the physical silver market is very similar. 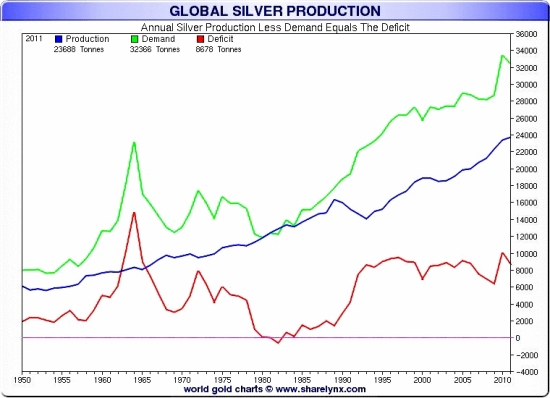 Silver is in deficit since 1980 (see red curve in the diagram on the right). While Silver demand has gained 15% over the last three years, the main surge is to be found in silver coins and bars that recorded a 76% increase in demand in 2013 compared to the previous year. As a result of the growing gap between supply and demand, some signs of shortage are starting to appear. The UK Royal Mint ran out of gold sovereign coins in 2014 due to “exceptional demand“. 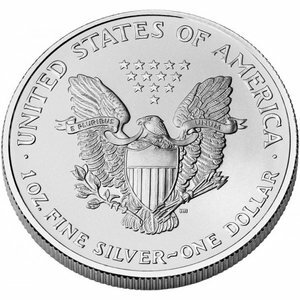 The US Mint sold out of Silver Eagle coins in 2013. The Canadian Mint experienced similar issues. When asked about silver shortage, the sale director of Royal Canadian Mint replied: “Demand right now for silver is through the roof and it shows no signs of slowing at this point. Sourcing silver is becoming very difficult“. One temporary solution to deal with the shortage is for large holders of precious metals to release their reserves into the market. But those stocks are not limitless. Silver inventory at the Shanghai Futures Exchange has declined more than 90% from nearly 1,200 tons in February 2013 to around 100 tons in October 2014. In a similar vein, COMEX, one of the main gold operators, experienced a collapse of 60% of its gold inventory between April and August 2013. On Dec 12, 2014, Gunvor Group Ltd., the world’s fifth-largest oil trader, closed its precious metal branch because “of difficulties in finding steady supplies of gold where the origin could be well documented“. This statement confirms the ongoing shortage but also suggests that some operators might be selling gold that is not supposed to be sold. In such a context, we might wonder why several countries (Netherlands, France, Belgium, Austria,Germany, Switzerland, Venezuela, Lybia, Iran,…) attempted to repatriate their national gold around the same time. Are governments afraid of a sudden currency crisis? Are they afraid that the host countries (US, UK) have sold their gold? Do they see a new Bretton Woods coming and want to maximize their negotiation power? Do they think the host countries (US, UK) might not be very safe havens in the near future? Beyond excessive leverage, high frequency trading, enormous derivative bubble, and looming shortages of gold and silver, the biggest mistake of the elites might be the way they dealt with emerging powers like Russia and China. Public debt as percentage of GDP (Green bars: Russia and China). At a time when the power of the “Western elite” had never seemed stronger, Vladimir Putin led the unexpected rebirth of Russia which is today the world’s top oil and gas producer. It holds a massive$400 billion in reserve and a substantial amount of physical gold. 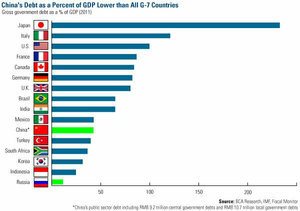 Its public debt is only 9% of its GDP (to be compared with western countries which are between 70% and 130%). It wasn’t the wishful thinking of the Western elite that made them underestimate Putin, but their limitless greed that pushed them to delocalize the US and European industries in emerging countries, because third world country slaves are simply cheaper than US slaves. This move enabled the emergence of powerful economies like China. 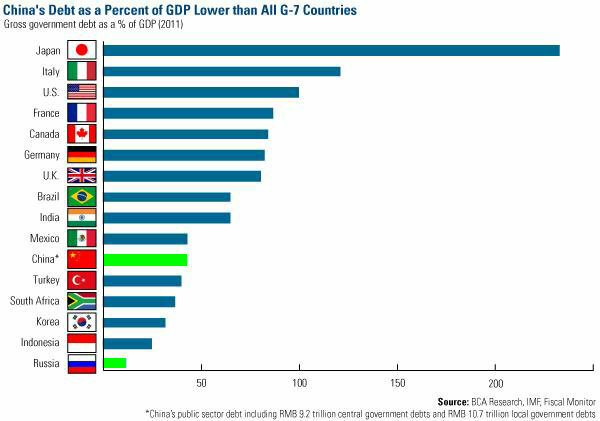 China has the world’s largest GDP(PPP adjusted), its public debt is only 31.7% of its GDP. 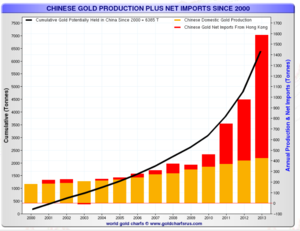 China is the world’s top gold producer and it holds the largest Foreign exchange reserve in the world evaluated at $4 trillion that includes about 400 billion in actual US dollars. Putin did wonders within his country, but he also developed a very sound international alternative to the imperial ultra-liberal “shock doctrine” enforced by the US and its Western lackeys. Putin’s geopolitical doctrine is based on respect for sovereign nations, cooperation, and the emergence of a truly multipolar world. This vision has rallied strong allies like China and India. The US Empire is not different from previous empires. It always needs more natural resources, money and slaves to keep itself afloat. By definition, the emergence of an alternative world threatens the US monopoly on those assets. As a consequence the BRICS in general, and Russia in particular, have become the prime enemies of the US Empire that cannot tolerate any competitor whether economically, financially, politically or ideologically.The US empire has already declared war on all those fronts. The coup in Ukraine, the destabilization of Chechnya, Belorussia or Georgia are attempts to flip Russia’s neighbors to the ‘dark side’. In a similar vein, the troubles in Hong Kong or Tibet are attempts to destabilize Chinese borders. The US is already funding anti-Putin “activists”, the plan being to re-enact the Ukrainian “Maidan”, but this time in Russia. 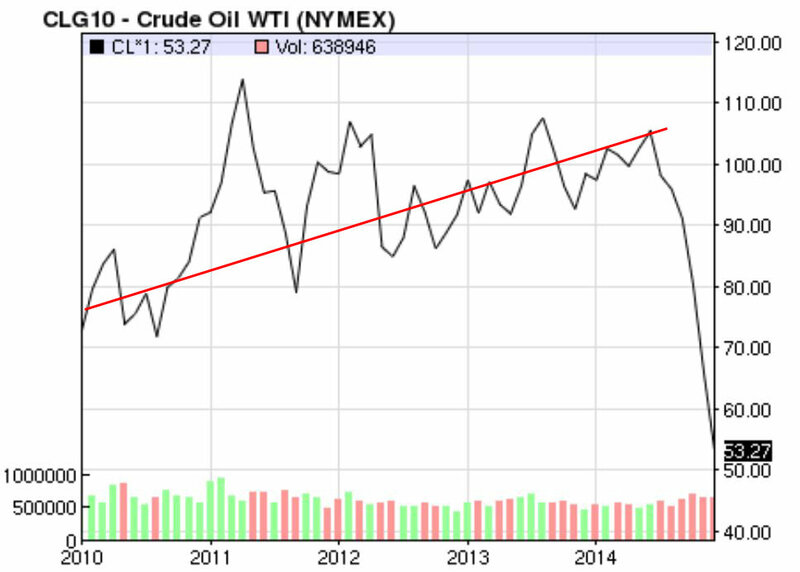 For years oil price was around $90. Suddenly it lost more than 50% and dropped to about $50. Beyond those destabilization maneuvers, a more silent and deadly attack is going on. It aims to destroy the Russian economy because, as history shows, hungry populations are easier to manipulate, and governments on the verge of bankruptcy have no more negotiation power. The first measure was economic sanctions against Russia. On December 28th, rating agencies worsened sanctions by downgrading Russia debt to near junk level despite Russia having one of the soundest economies in the world. This purely political move aimed to increase the cost of Russian debt. Soon after the economic sanctions, the price of oil magically dropped from $100 a barrel to less than $60. The official explanation was an increase in production and tepid demand. While this could be a factor, it is unlikely to be the main reason. At this point we know that markets are seriously manipulated. 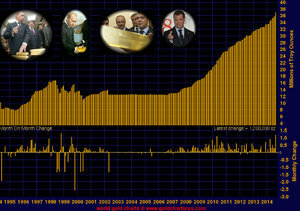 The drop in oil price was almost certainly a deliberate political move aimed at weakening Russia, a major oil exporter. 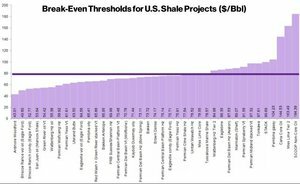 However, the USA also produces oil, but the fracking technology is expensive and it requires high prices (more than $80 a barrel) to remain profitable. When we know that the fracking business is one of the main recipients of loans ($550 billion) generated by the recent money creation frenzy, we can see the coming wave of defaults in the industry and the potential effects on the whole banking industry. Remember that the 2008 crisis was similarly triggered by a wave of defaults (in the mortgage sector). The attack on the ruble was a plain attempt to destroy the Russian currency. For several months the Ruble had been slowly eroding against the dollar. 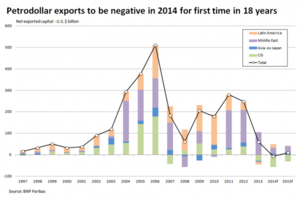 Like other oil exporting countries, Russia has been negatively impacted by the sharp drop in oil price. Amidst this unfavorable context, a concerted speculative attack started on December 15. Transaction volumes surged, with most of them being conducted from London. Ruble-dollar exchange rate. The Attack on the Ruble lasted from the 15 to the 17 (red ellipse). 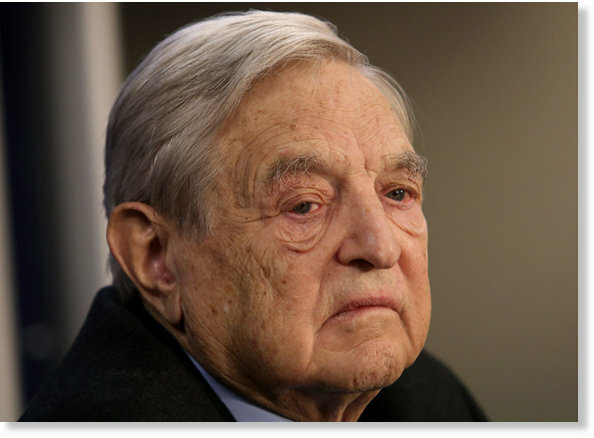 Georges Soros brought the British Pound to its knees in 1992 and speculators hoped to do the same with the Ruble. They used two main tactics: 1. borrowing the Ruble to sell it and buy dollars (thus depreciating the Ruble by massive sales) 2. short selling the Ruble. i.e. selling it while it was still high and buying it later, once the price had dropped because of the massive sales. 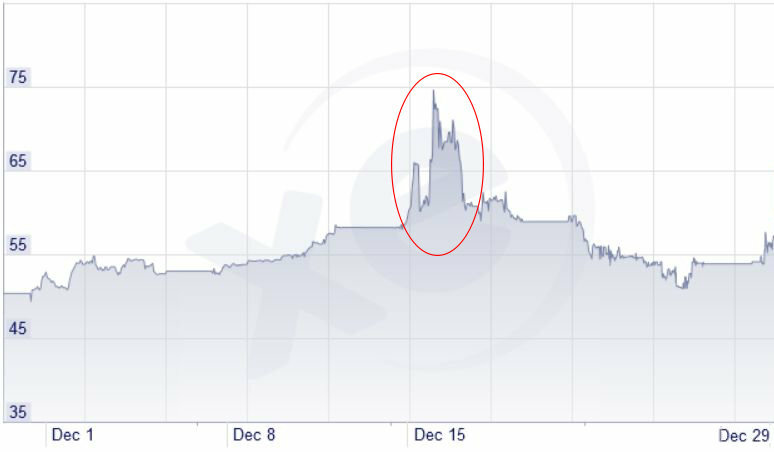 After two days of epic battle where the ruble fell from 58 to 75 Rubles for one dollar, it then went back to its initial value (about 58 Ruble/$) and stabilized around this level (see diagram on the right). The speculative maneuver by Western financial gurus was, in the end, an epic failure. Russia increased its interest rates up to 17% making it much more costly to borrow Rubles (see tactic 1). Russia and probably China sold massive quantities of US dollars to buy Rubles. At the end of the day, the vulture speculators lost a lot of money, while Russia and China made substantial profits (buying abnormally cheap Rubles) and political gain by dumping dollars and showing their financial resilience. The BRICS countries are painfully aware of the dirty tactics used by the US and they have prepared some defense strategies. For years they have been working at freeing themselves from the dollar slavery. To do so they have started several major de-dollarization measures where more and more contracts (currencies swaps, stocks, bonds,development bank, oil, gas, industrial equipments, and other bilateral trades) are directly executed in local currencies bypassing de facto the US dollar. China and Russia are also drastically reducing their percentage of dollar reserves. In September 2013, China, the main holder of dollars in the world, officially announced it would stop stockpiling dollars. Obviously these de-dollarization measures are having some effect since, for example, petrodollar exports were negative in 2014 for the first time since 1997 (see diagram on the right). In this financial grand chess game Putin and his Chinese ally have made a masterful move. They have used the manipulations of their American attackers against them by taking full advantage of the over-evaluated dollars and the under-evaluated physical gold. Thus, when they sell energy or manufactured goods, they still accept dollars but they immediately use them to buy physical gold. This is a very smart move because it weakens the US dollar (increased supply due to massive sales) while strengthening its direct competitor physical gold (because of massive purchase). We are talking about extremely high volumes here. China is the first producer of gold in the world, it is also the largest importer of gold in the world. In 2013 alone, it produced 400 tons and imported 1200 tons. 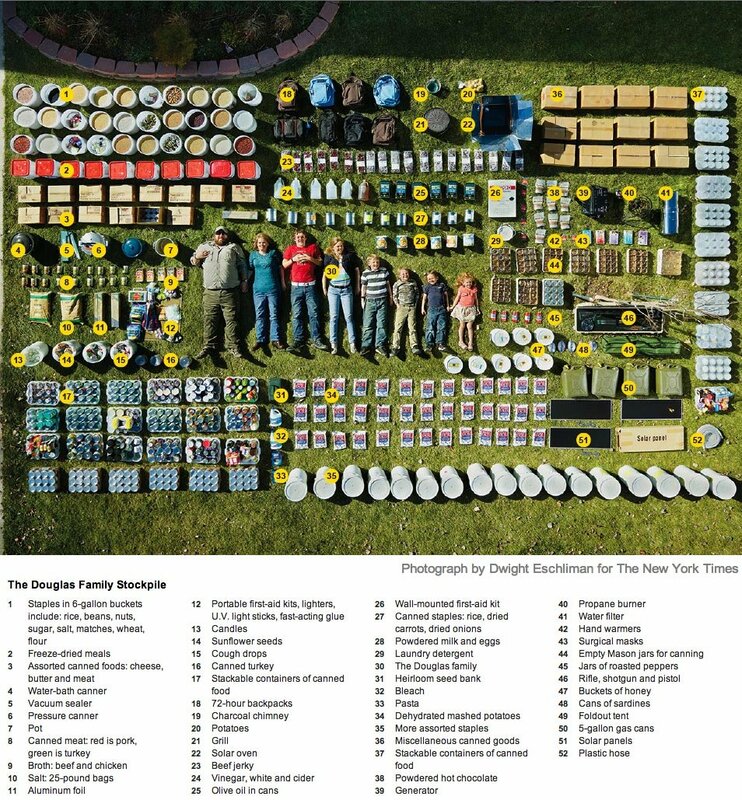 That’s a total of 1600 tons of extra gold over a single year. 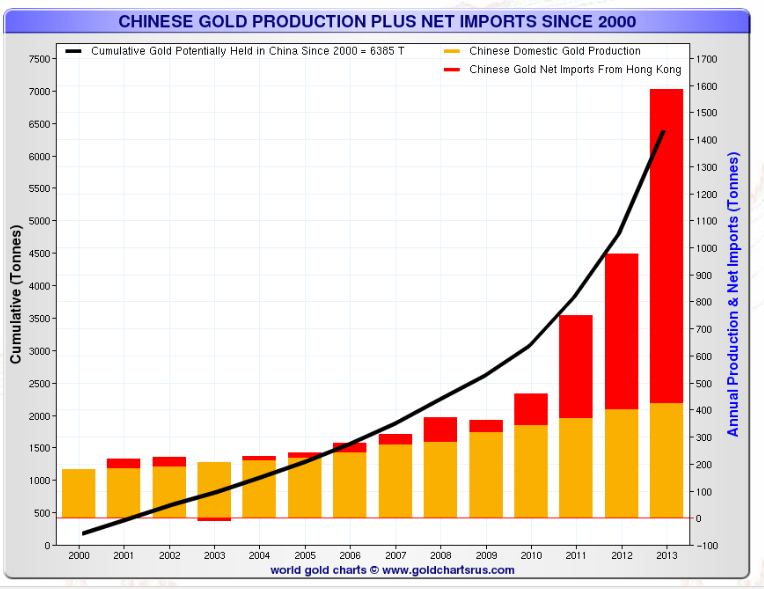 Since 2000, China has potentially accumulated 6000+ tons of gold and their desire for gold is rising exponentially (see diagram on the right). 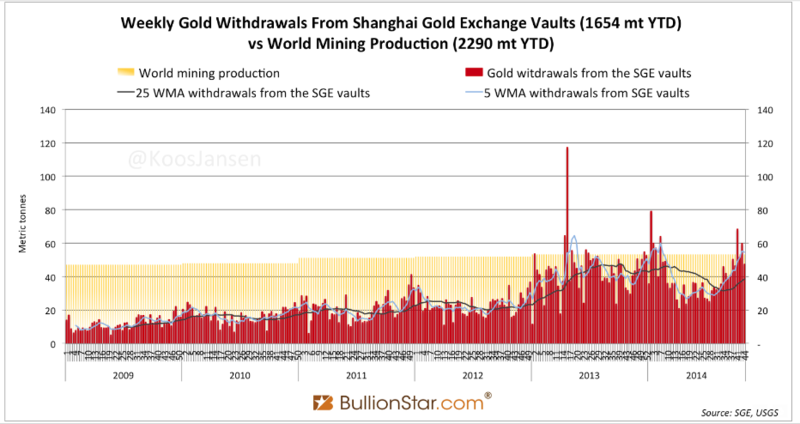 The Shanghai Gold Exchange Vault is China’s gold import hub. In this place alone Gold withdrawals, that amount to more than 50 tons a week, repeatedly exceed the world’s production. Russia is following the same trend. 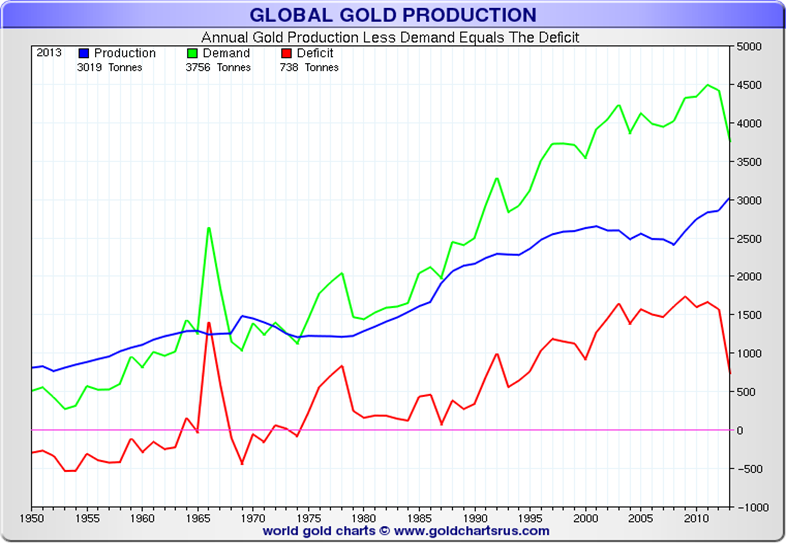 It is the 3rd producer of gold in the world and should very soon become2nd. Russia is also massively increasing its gold reserve: in September 2014 alone it added a staggering 30 tons of gold to its reserve (see diagram on the right). 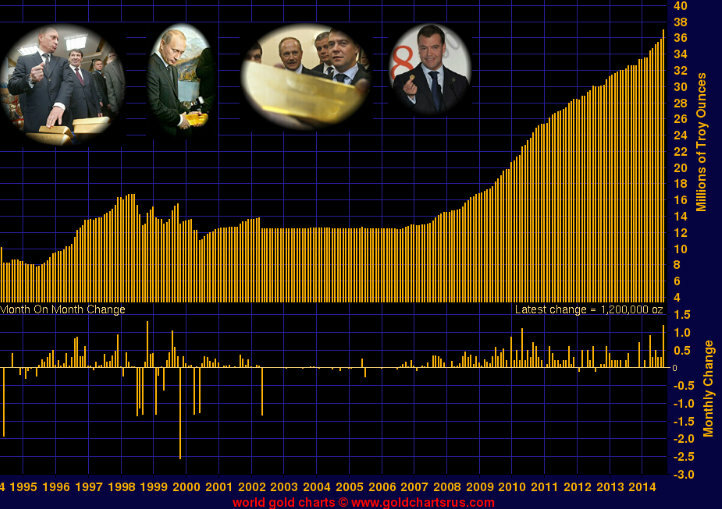 At the current pace, the physical gold purchase of Russia and China together amount to 10000 tons a year. It’s almost 3 times the World annual production and it’s more than the official (and totally overestimated) US gold reserve. These major changes are happening on a dollar market that appears primed for collapse and on the physical gold market that appears set to skyrocket. How long will the West be able to buy energy from Russia and goods from China in exchange for physical gold? 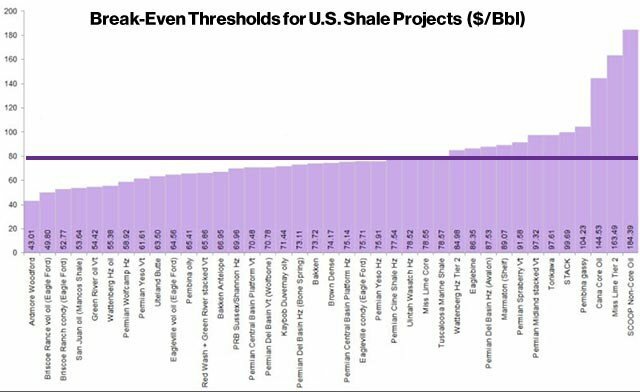 What will happen to the US (petro)dollar after the West runs out of physical gold to pay for Russian energy and Chinese goods? The objective pursued by Russia and China seems obvious. They want to end the hegemony of the US dollar. Such a collapse would inevitably trigger a new Bretton Woods that could mark the emergence of a new world currency, probably based on a basket of currencies (Yuan, Rubles) that could be gold backed. Slight decrease in dollar value -> slight loss of confidence in the dollar -> dollars sold / gold bought -> dollars goes down, gold goes up -> decreased trust in dollar / increased trust in gold -> etc. But the banking system is so vulnerable that the collapse of the US dollar might bring the whole banking system down with it. The financial battle is raging and both players have gone “all in”. One of them will lose everything. The future being open, making predictions is a tricky task, but I would not be surprised if 2015 becomes the year when the dollar and the banking system collapsed. if you have a retirement plan it might also be the right time to close it too. It’s unlikely that all financial/economic activity will disappear overnight. Thus, there might be a window of opportunity in the beginning of the financial collapse when currencies drop while physical gold and silver start reaching their real value, and economic activity/commerce is still ongoing (albeit reduced). 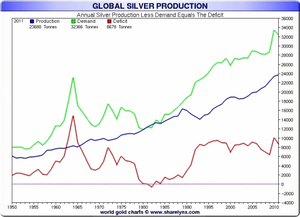 In such a transition, physical gold and silver could present a very strong purchasing power as a means to buy useful assets before economic activity drops to virtually zero. Small silver/gold coins are preferable to big ones because they are easier to trade. Also, do not store coins in a bank vault. If the banks collapse, access to the vaults is not guaranteed. 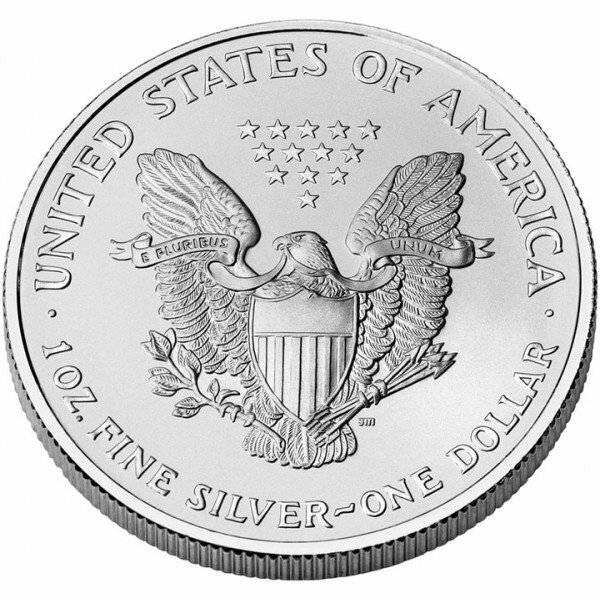 As of beginning of January 2015, a one ounce silver American Eagle coin is $19.80. Next articleWhy Does God Allow Bad Things to Happen in the World?